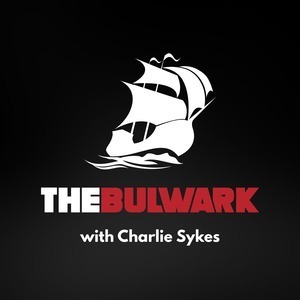 78 episodes of The Bulwark Podcast since the first episode, which aired on December 21st, 2018. Political consultant Tim Miller joins guest hosts Jonathan V. Last and Sarah Longwell to preview the 2020 race. Professor Tom Nichols, author of 'The Death of Expertise' joins host Charlie Sykes to discuss the latest about the Mueller investigation, how folks on the right are reacting, and what they tell themselves to make the pain go away. Who's Up For A Purge? Matt Lewis joins Charlie Sykes to discuss Steve King's harm toward the GOP, why we need to purge bigots, how Ted Cruz and Beto O'Rourke are crossing streams, the shutdown, and what Mitt Romney's Senate career will yield. Jonathan V. Last, Jim Swift, and Adam Rubenstein discuss the first primary challenge of 2020: Iowa’s Steve King. What is Trump About to Do? Lawfare's Benjamin Wittes joins Charlie Sykes to discuss President Trump's address to the nation, what might happen if he declares a national emergency to build a border wall, the latest in the DOJ and the Mueller investigation.